For centuries, Christians have been challenged and inspired by the writings of the early church fathers. Their exhortations, thoughts, and meditations have been a beacon of light and hope to church leaders, laity, and theologians including Martin Luther, John Calvin, and John Wesley. Day by Day with the Early Church Fathers presents selections of these writings in a format that makes them readily accessible for daily meditation. 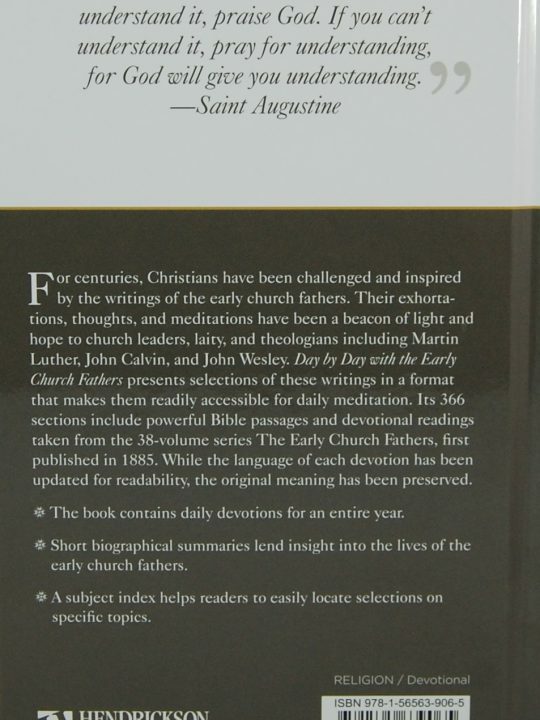 Its 366 sections include powerful Bible passages and devotional readings taken from the 38-volume series The Early Church Fathers, first published in 1885. While the language of each devotion has been updated for readability, the original meaning has been preserved. 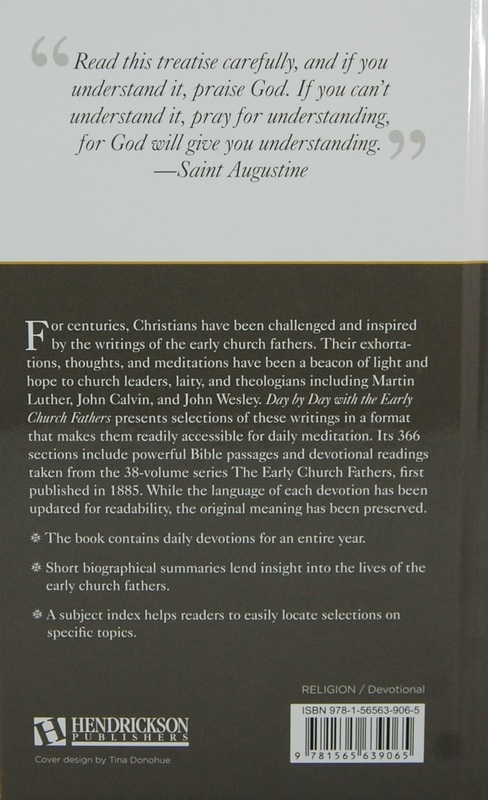 Short biographical summaries lend insight into the lives of the early church fathers. Also the book’s subject index helps readers to easily locate selections on specific topics. About the Book From the Introduction by His Grace Bishop Youssef: The Passion of our Lord Jesus Christ expounded during Holy Week is a profound respective interval for contemplation, understanding, soul searching, repentance, and wholehearted gratitude for His immense love and the toll of His sacrifice for us. 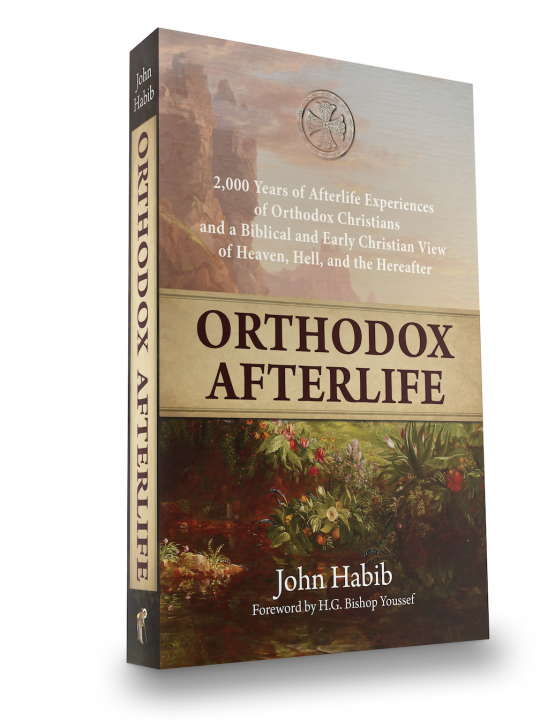 This book provides deep insight and invites the believer to delve into an exceptional discourse regarding the events of the days and minutes of the Lord’s Passion according to the readings and rites of the Coptic Orthodox Church, starting with Hosanna Sunday, and unto Covenant Thursday, Great Friday, Bright Saturday, and Resurrection Sunday. About the Book Do you ever feel God is an oppressive judge looking to punish you? Have you ever felt defeated because of your sins or because you feel you are so far away from where you know you should be with God? Whether you have just fallen into a particular sin you are ashamed of, or have a repeated beloved sin which you feel you are unable to extinguish, this book is for you. 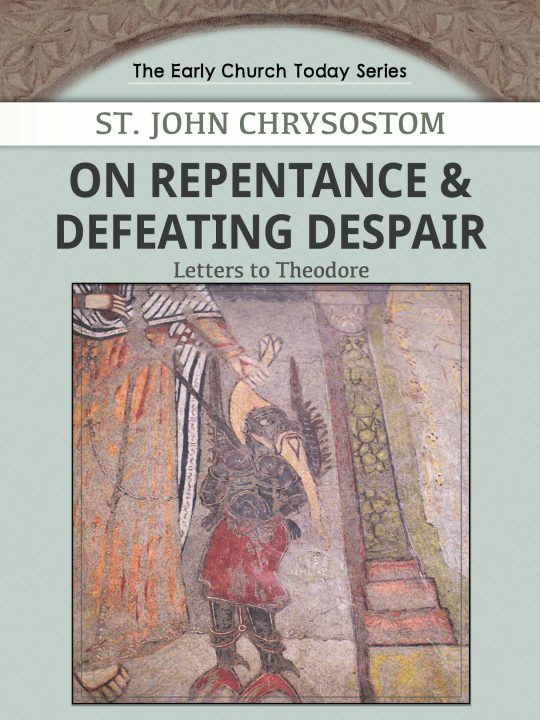 St. John Chrysostom wrote two letters to his friend Theodore, who along with St. John and his friend Basil, committed to a life of celibacy and spiritual living; however, Theodore was unable to keep his commitments and later fell into lustful passions and strayed quite afar off from godliness. These letters are St. John’s heartfelt words written in anguish to his lost friend pleading for his return. The purpose of this book is to help make St. John’s letters to Theodore accessible to modern audiences. Various editorial supplements and revisions have been implemented to help achieve that end, including using modern words in place of archaic language, and providing summary captions to make it easier to understand and follow along, all while intently focusing on preserving the original meaning of the author. 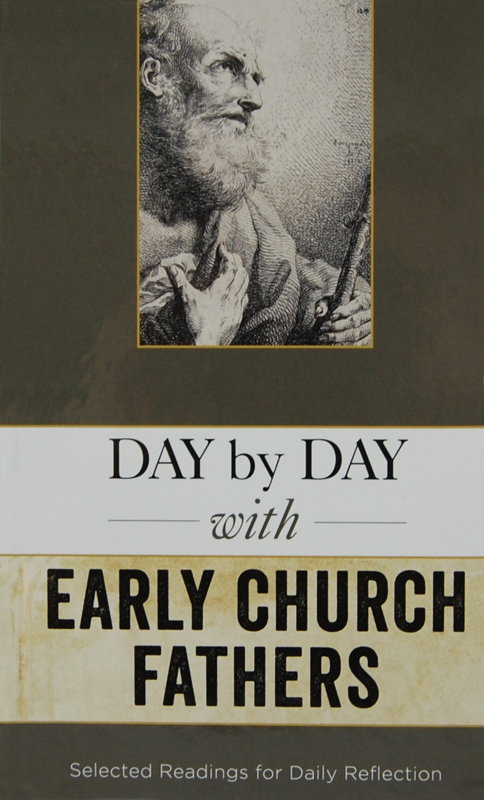 This marks the first of several, God willing, books to be published as part of The Early Church Today Series, which aims to manifest the richness of the early Chuch and its relevance to today. The Early Church Today Series The early leaders of the Church, tasked with shepherding Christ’s flock, left us spiritual wealth that is too often neglected in modern times. 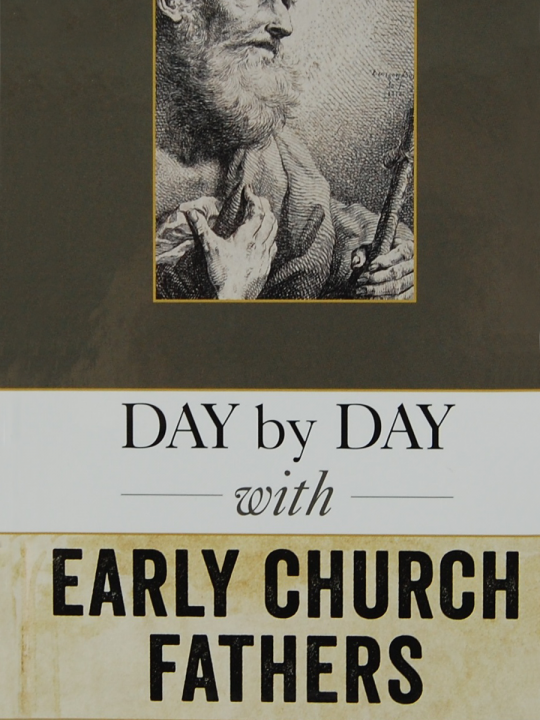 The Early Church Today Series, published by the St. Mary & St. Moses Abbey Press, aims to help make that richness more accessible to readers, inviting them to see the applicability of the early Church to our walk with God today. By sharing practical selections from the writings of the early Church, aided by meaningful editorial supplements and revisions, each book will attempt to diminish impediments and bring to light what the Church has to offer. About the Book From the well known author, Fr. 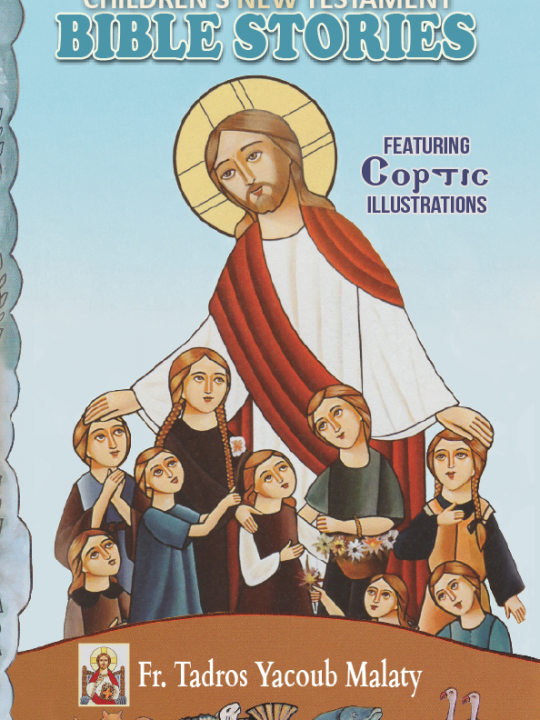 Tadros Yacoub Malaty, comes a beautifully composed summary of significant biblical narratives, accompanied by traditional Coptic illustrations depicting each momentous account. This book will help all ages, starting with children, and extending to parents and anyone entrusted with the religious education of youth, to appreciate the Old Testament and its most significant events. This precious book is a simple and inviting journey through Scripture in conformity with Orthodox tradition, and will be a treasured resource for many future generations. About the Book From the well known author, Fr. 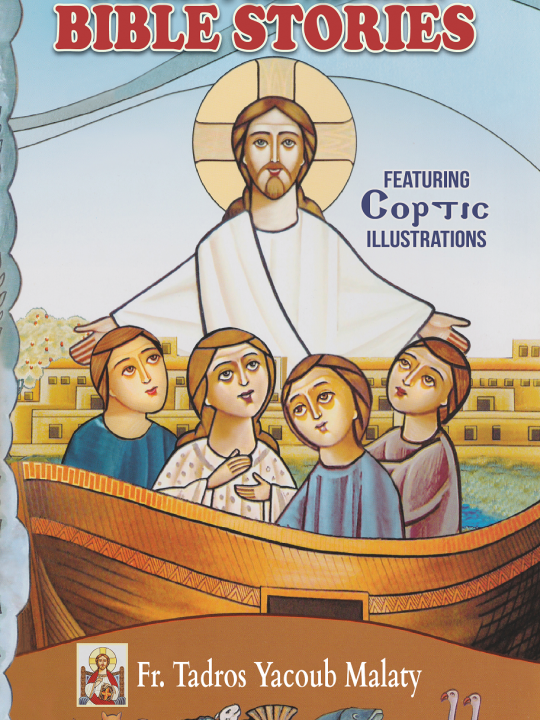 Tadros Yacoub Malaty, comes a beautifully composed summary of significant biblical narratives, accompanied by traditional Coptic illustrations depicting each momentous account. This book will help all ages, starting with children, and extending to parents and anyone entrusted with the religious education of youth, to appreciate the New Testament and its most significant events. This precious book is a simple and inviting journey through Scripture in conformity with Orthodox tradition, and will be a treasured resource for many future generations.